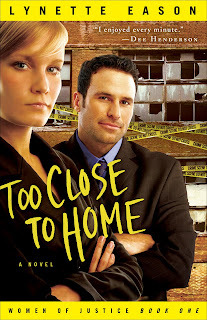 I was interested in reading Too Close to Home by Lynette Eason because it sounded intriguing. I liked the fact that it was the first book in a new series called Women of Justice and it was promoted as a romantic suspense novel. So I spent a lot of the day soaking in the beautiful weather and reading Too Close to Home (I thought it was fitting since the book has a yellow cover and the sun is yellow, don’t you think?). I have to admit that I think it was better to have read it during the day as well, since many parts of the novel were really scary! The novel focuses on Connor Wolfe, a homicide detective who is a widower with a teenage daughter named Jenna. Connor has spent more than a year trying to track down a killer who kidnaps teen girls and then kills and disposes of their bodies. Connor’s team has discovered that the murdered girls also appear to have recently given birth before their deaths. Samantha Cash, a Special Agent with the FBI, is brought in to assist with the case. What follows is murder, mayhem and a plot twist that boggled my mind! I really liked this book. I didn’t realize until I started reading it, that it was a Christian novel and there are certain religious elements that appear within the novel. While I was aware of this aspect of the novel, it simply appears as part of the development of various characters, which I appreciated. I also enjoyed the fact that the blossoming romance between Connor and Samantha is not the primary focus of the novel but is simply another component to the develop of the novel’s characters. To me, this novel was primarily a suspense novel with hints of Christian fiction and romance within it. I also appreciated the “hook” at the end of the novel which links to the second novel, which is to come later this year. Samantha’s sister, Jamie, is a secondary character in Too Close to Home. As the plot unfolds, Jamie’s history plays a role in Samantha’s actions and reactions. Jamie had been kidnapped, raped and tortured when she was 18 years old and, ten years later, she is beginning to overcome the agoraphobia that has plagued her since her assault. The epilogue of the novel reveals that person who attacked and violated Jamie is still alive, still committing crimes and now has Jamie again in his sights. I was immediately intrigued by the fact that I think this storyline will be the focus of the second novel in this series. I can’t wait to read it! This novel is an excellent book for anyone interested in romantic suspense novels – particularly those who enjoy a suspense novel with many twists and turns! 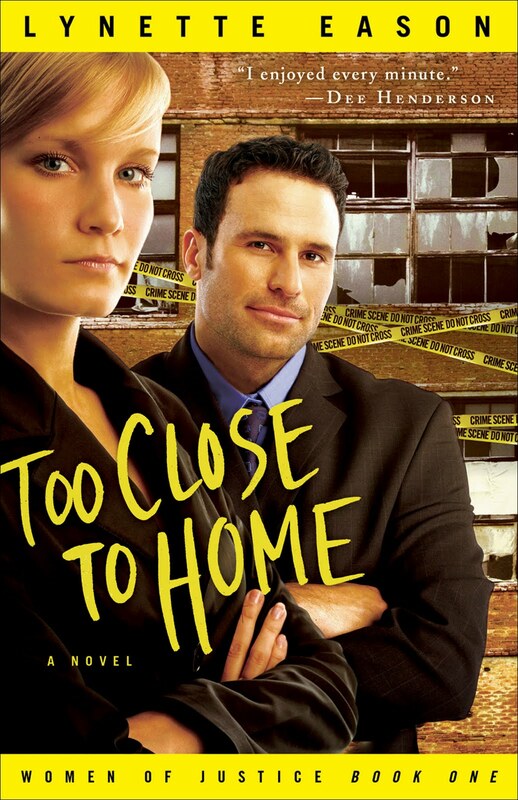 Too Close to Home is available now at your favourite bookseller from Revell, a division of Baker Publishing Group.